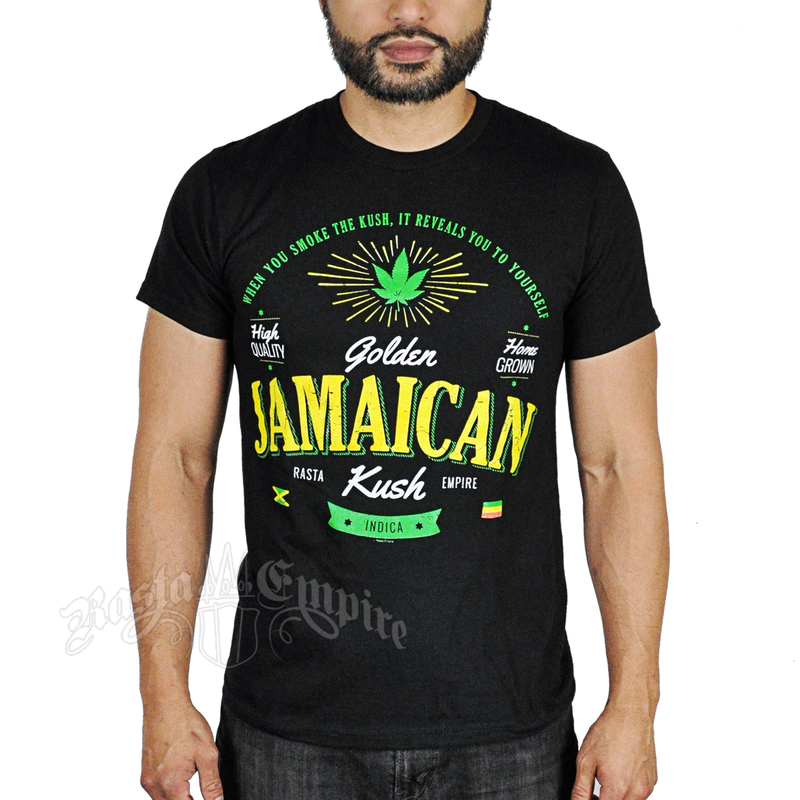 This black t-shirt features a design for the Golden Jamaican Kush cannabis strain. 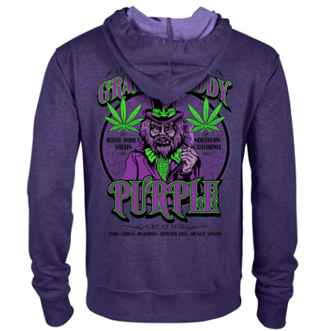 Arcing along the top are the words “When you smoke the kush, it reveals you to yourself” printed in green. 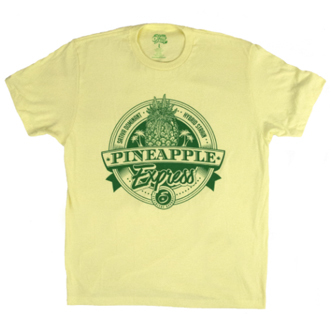 Below that is a marijuana leaf printed in green and surrounded by radiating yellow lines. 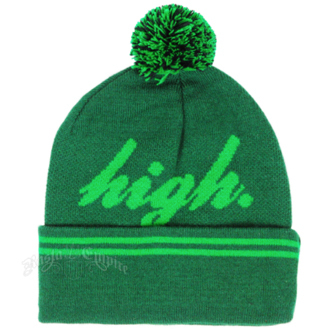 At the bottom of the design are two flags – the Jamaican flag and the Rasta green, yellow and red flag – framing a green ribbon reading “Indica”. 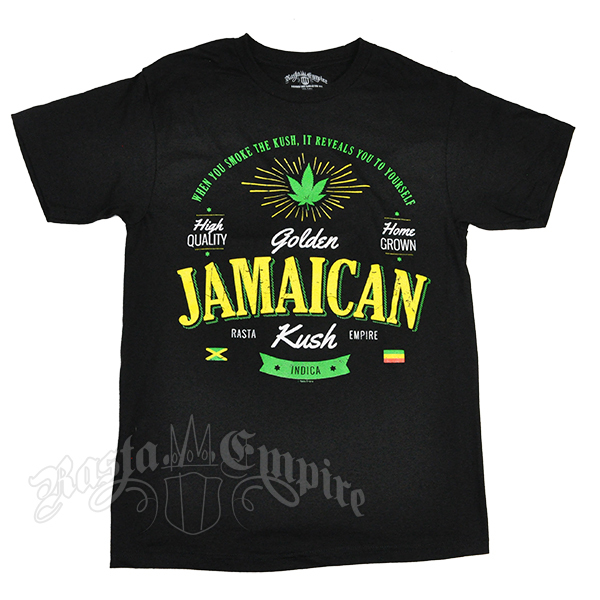 The text on the shirt also includes: High Quality, Home Grown, Rasta Empire.